The excitement over Day 44 of the trial deciding the fate of Chief Justice Renato Corona, as expected, spilled way past the Senate grounds. Outside the gate, the long line of prospective watchers was up for a final effort. As before, only 40 green passes to the Session Hall would be given out. And no ticket more, this last full show already full. Not even for actor Pen Medina, who showed up with a “Convict Corona” shirt. He took it off to comply with regulations, yet still missed the cut. Farther off at the Senate security checkpoint beside the Manila Film Center, three news vans were parked near a barricade and a throng of anti-riot police. This spot was the closest any groups wanting to amass in protest or support could get to the Senate. Close to noon, nearly 50 members of a health workers’ group arrived with “Guilty!” signs. They brought out effigies of Corona, his benefactor Gloria Arroyo, and of President Aquino. They wanted a Corona conviction, but hoped the alternative was not a Supreme Court controlled by the President. They left after 30 minutes. A group of the same number, this time from Akbayan, a party allied with Aquino, later came with yellow placards that all repeated “Convict” and “Guilty”. Unlike before, only one side came out that day. 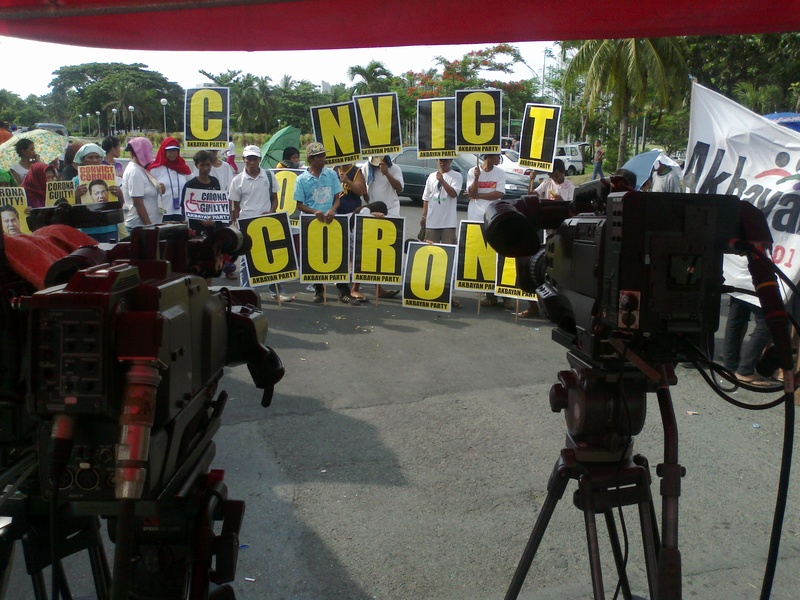 Many of those praying for an acquittal for Corona remained at the Supreme Court to watch the Senate verdict via an LCD projector. The Akbayan assembly stayed on to monitor the votes cast by the 23 senator-judges through a radio piped into their mobile speakers. 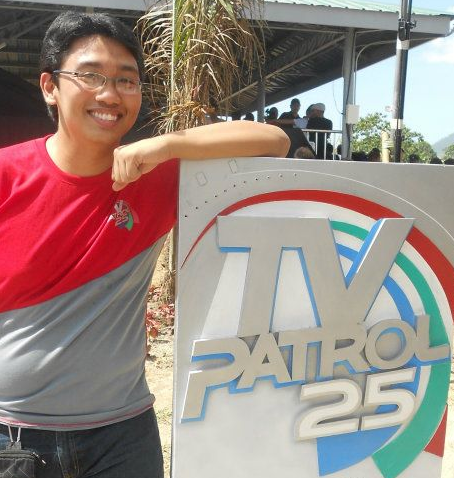 ABS-CBN’s cameras were trained on both spots for live reactions to the moment of decision. At ABS’s Senate OB van control, it was business as usual, yet spiced with the excitement of a final sprint. The crews manning the facilities that broadcast the trial sessions and live reports for Channel 2, ANC, and DZMM had been at it since January. And except for infrequent session lulls, their work routines for four months have been 6 a.m. to 9 p.m., all to and from the Senate.